Welcome to the Virtual Yard Sale! I will activate the paypal button if you email me to purchase an item. 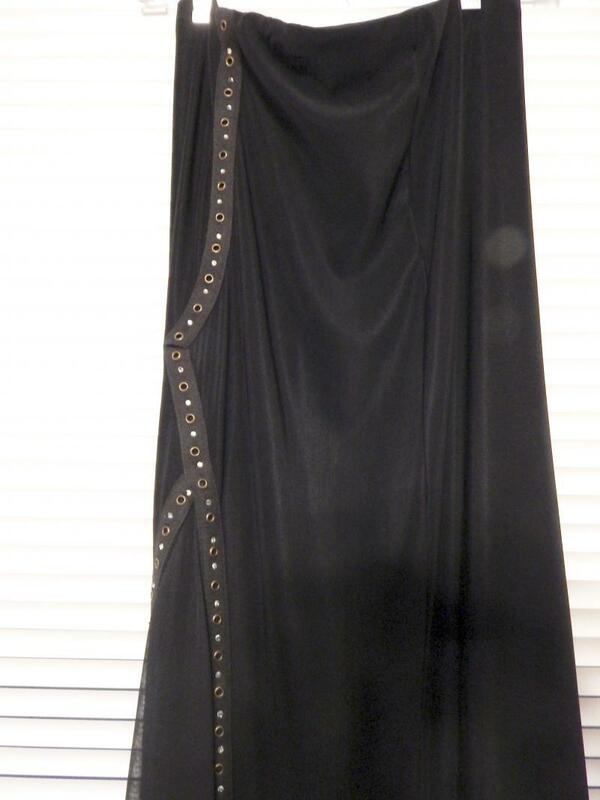 I can ship a costume to you at your expense, or we can arrange a pick up. 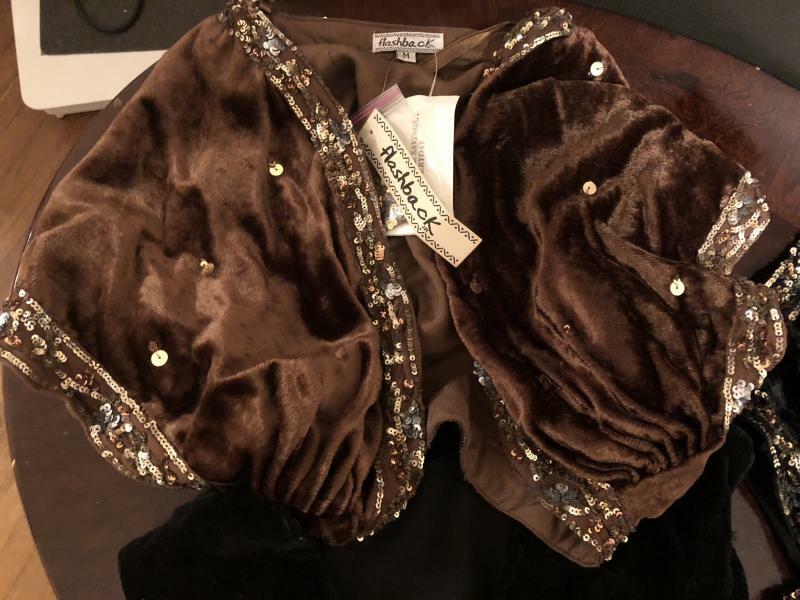 Contact me at 513-478-6831 or Lisa@inner-dancer.com with any questions you may have, to arrange a time to try a costume on, or if you wish to purchase. Now picture yourself dancing, brightly shining and radiating your beautiful self!! MORE ITEMS WILL BE ADDED DAILY-CHECK BACK OFTEN! Bra/Belt purchased in Egypt. Plumb, purple and gold sequin and beaded fringe with gold flower applique cabaret Bra 34" C cup. Has small straps inbetween cups that can be adjusted to lengthen/reduce. Straps 18" total, currenly sewn shorter, can be adjusted. belt 40" beautiful plumb/purple skirt with two panels one front/one back, slits on side all the way up to elastic waist band 37.7" length, elastic waistband 34" unstretched, stretches to about 54". Photo above shows color. 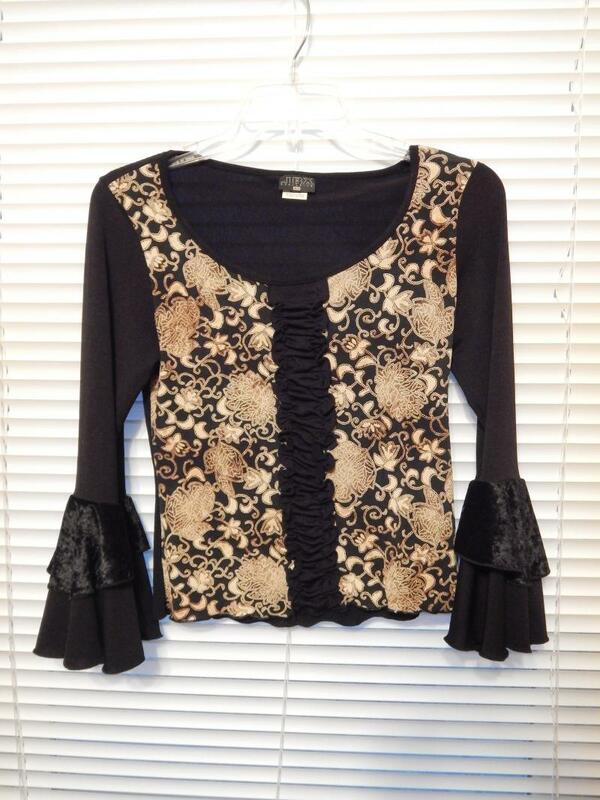 Over exposed photo below shows detail of black center ruffle and velvet accent ruffle on sleeves. Polyester stretch material. medium. 29" unstretched elastic waistband, 48" stretched waistband. 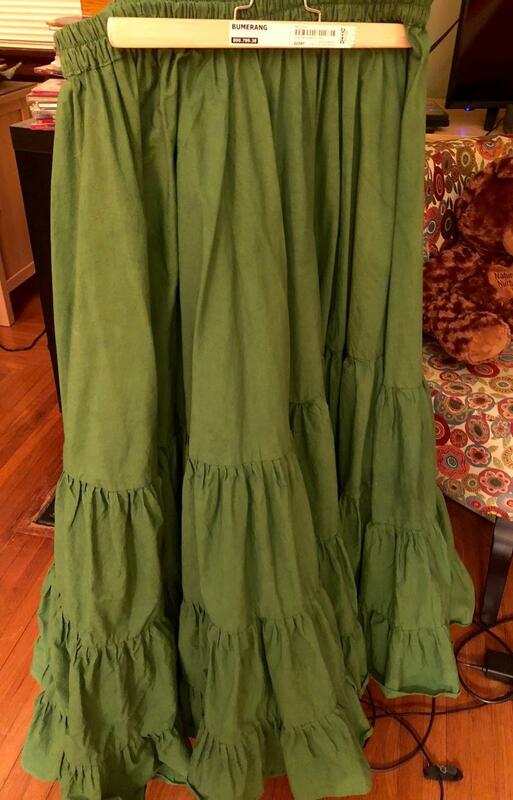 4-tier heavy cotton. 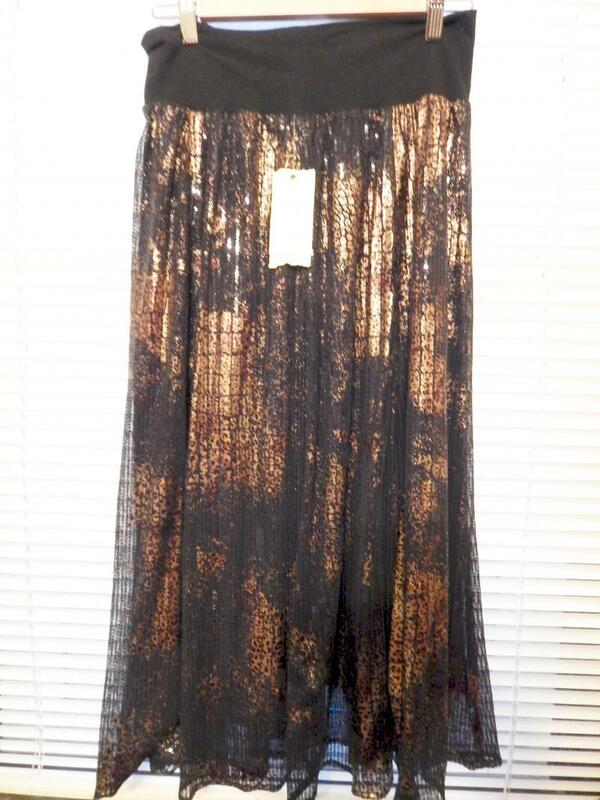 This is a beautiful skirt only worn 1 time! It is divine for spinning! Kelly Green two layers front panel and back panel sewn onto grosgrain ribbon waistband. 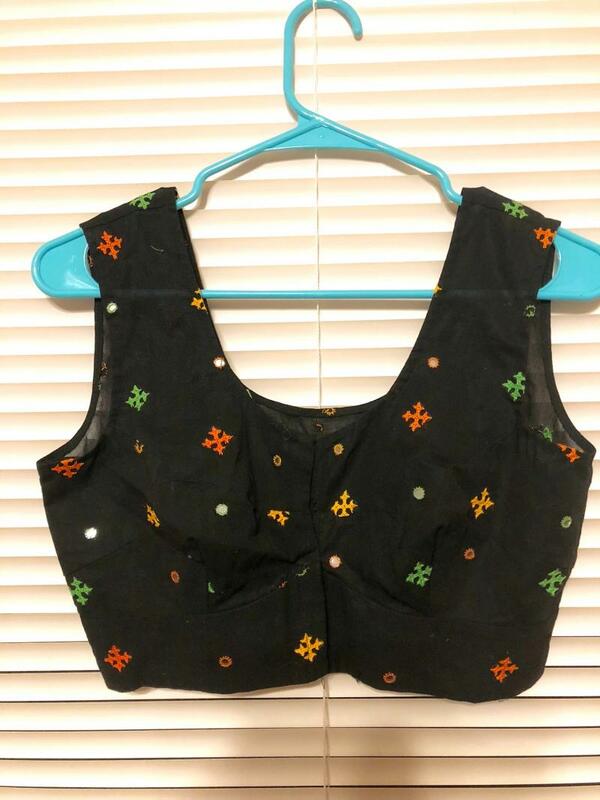 approx 34" waist snap closure. 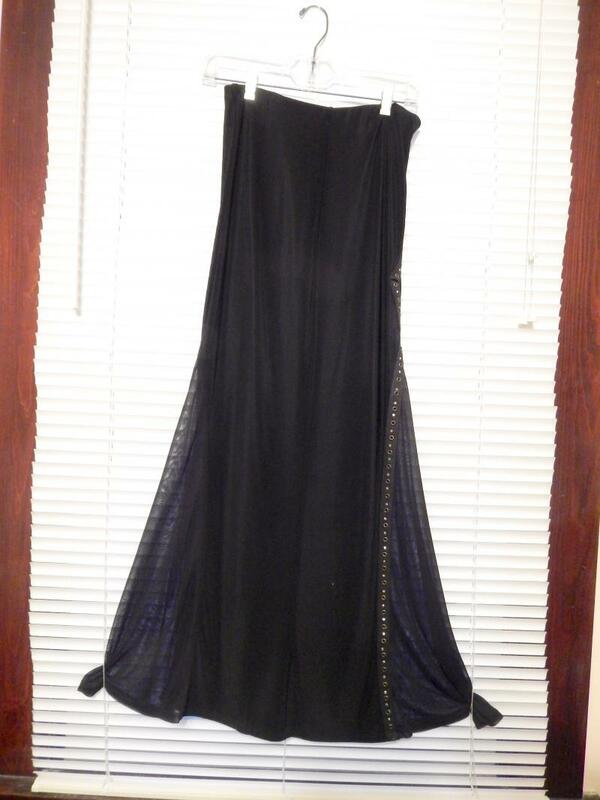 Black nylon/spandex, 42" length, sheer panels on either side. 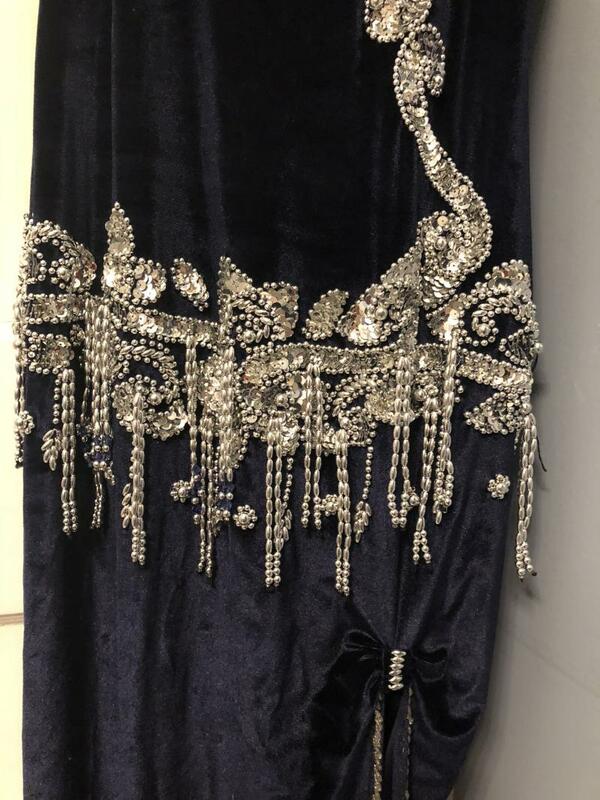 silver accents down one side of skirt. 28" waistband unstretched, 42" stretched. Pretty! 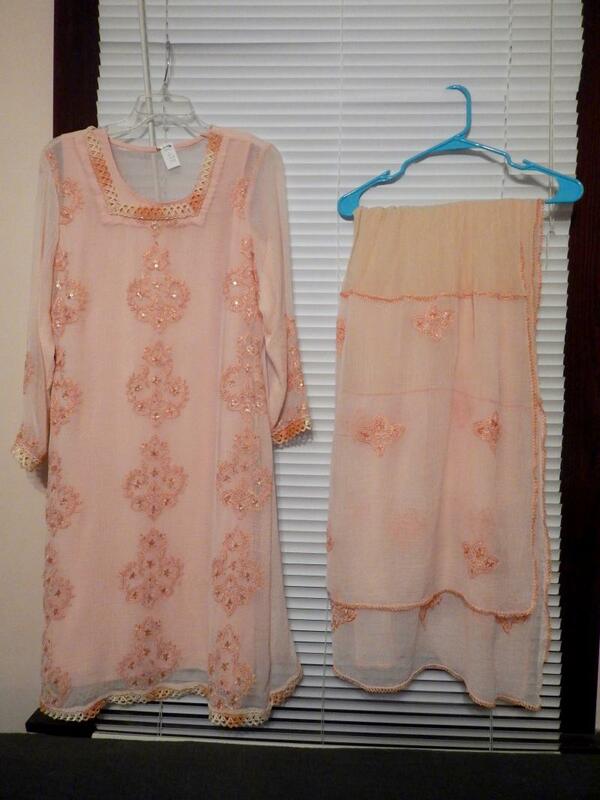 small/medium size cotton gauze dress with peach liner. matching sari. 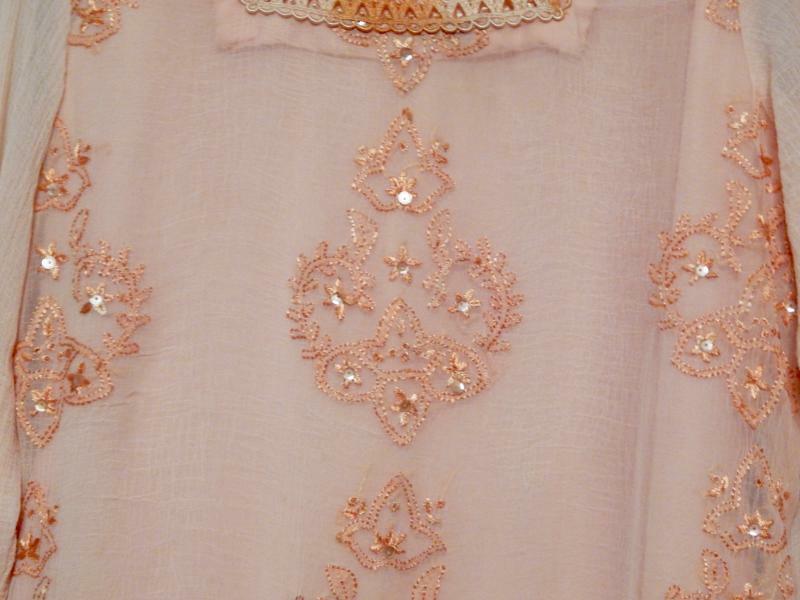 beautiful detail and sleeve accents. 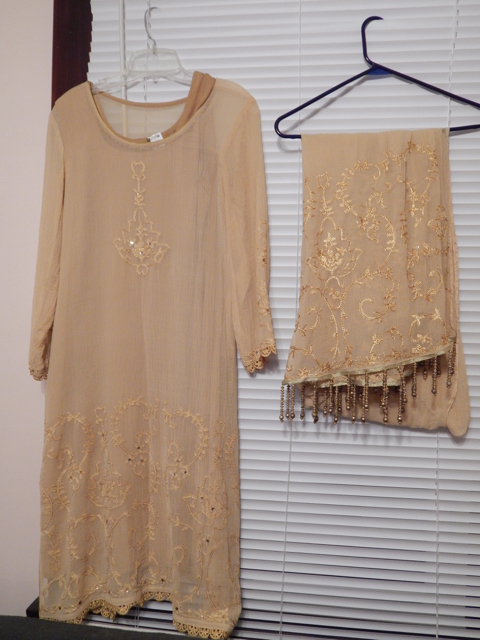 I also have a similar dress/sari in a mustard/tan color, a brown, and a light olive color. Contact me if interested. 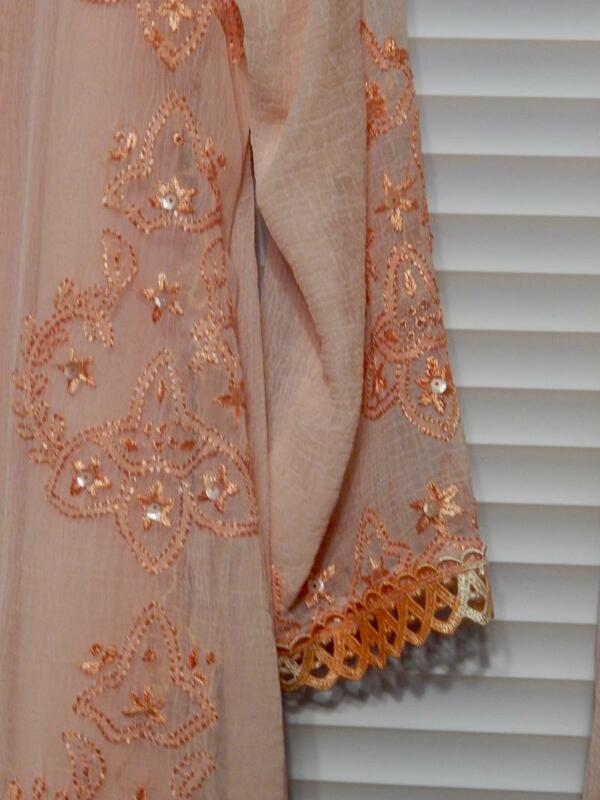 Beautiful details on the dresses and sari. 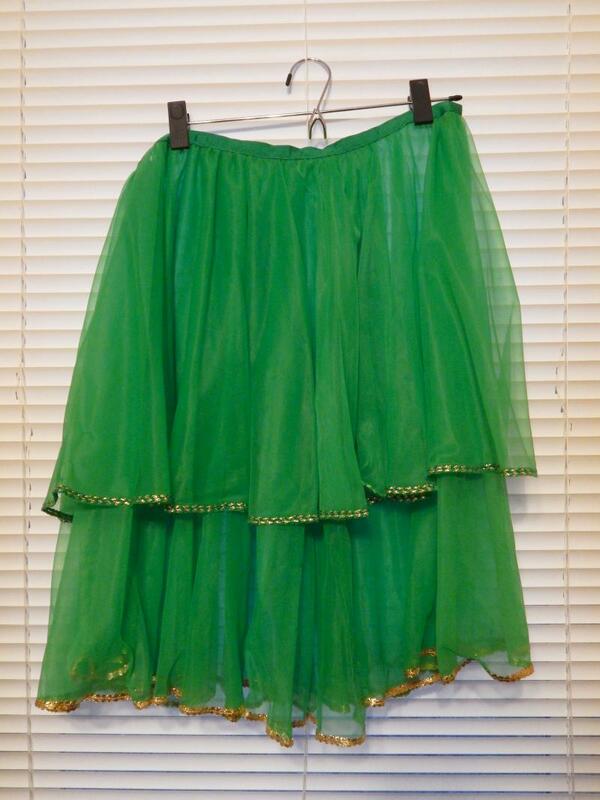 colorful medium polyester skirt. 34" long. 32" waistband unstretched, 40" stretched. 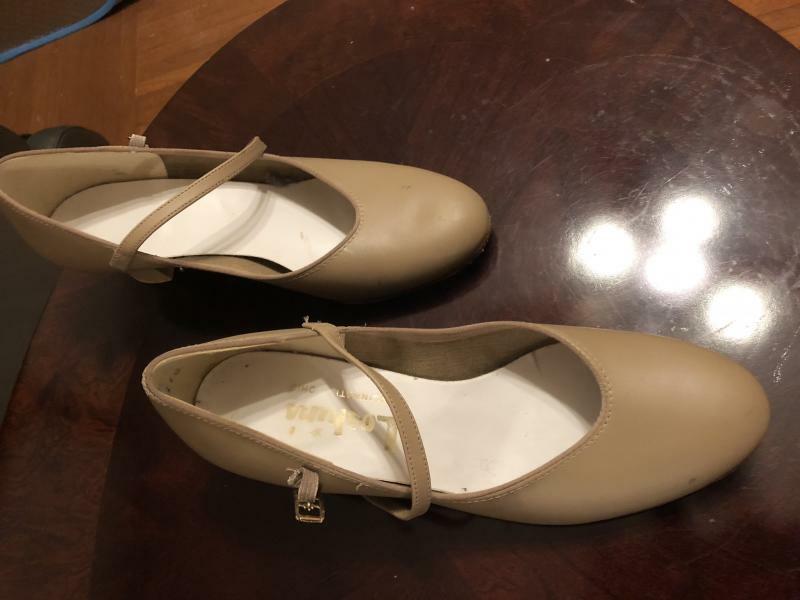 I wore these for a debke practice and performance! Gently used. 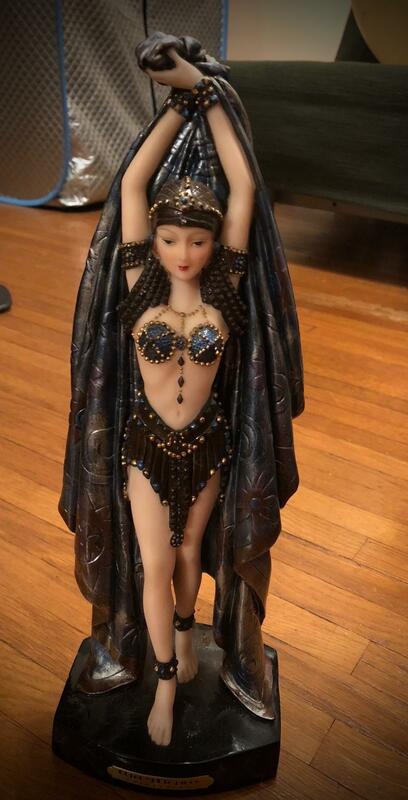 Inspiration for your studio or dance practice area! 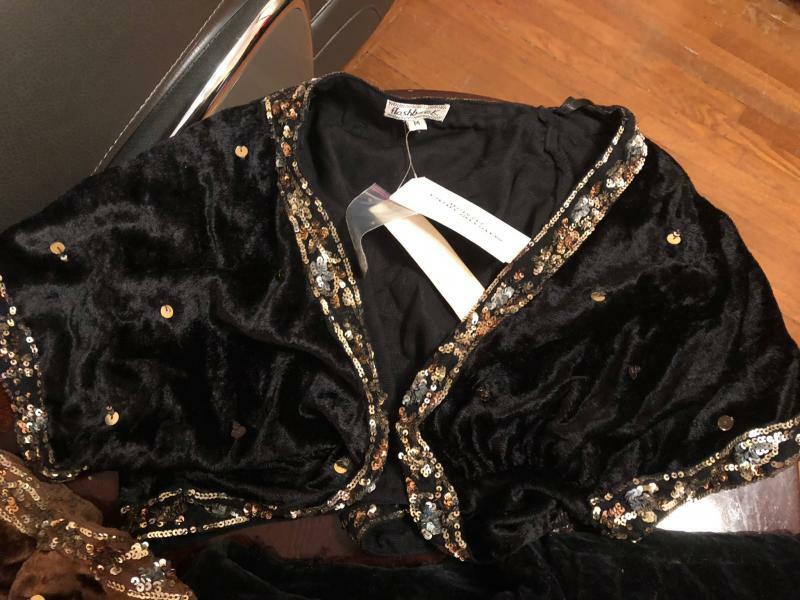 velvet vests with sequin trim. never worn, tags still on. size medium, but runs small. 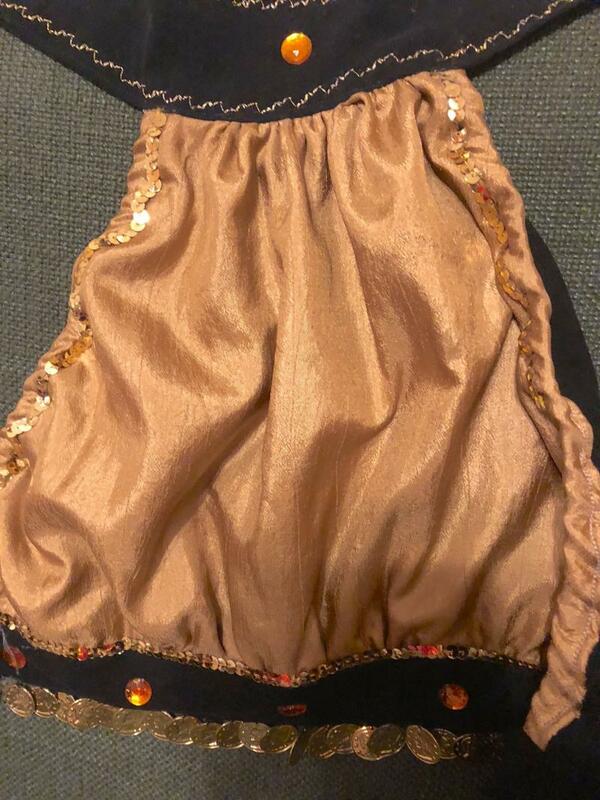 small/medium gold halter top. 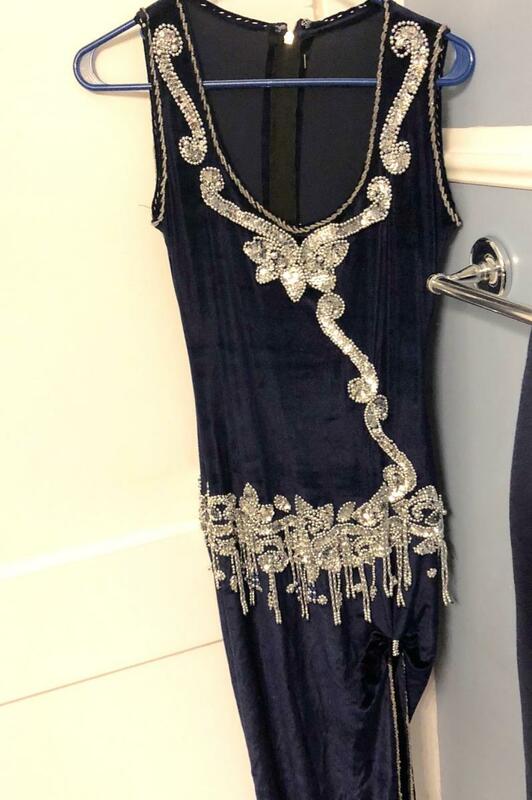 sequin trim, coins at the bottom. hooks at top and back. 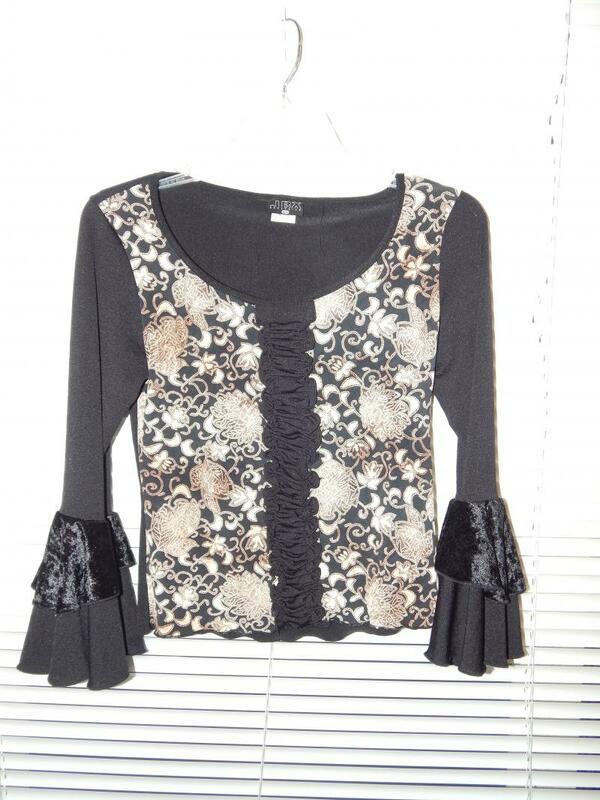 lined with soft black material. 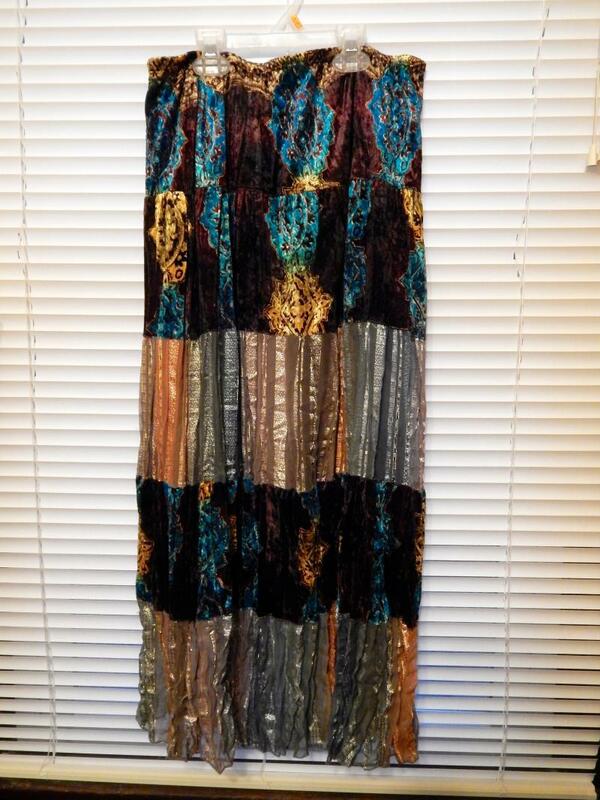 100% silk champaign color skirt. waistband needs to be replaced. 36" length, waistband currently 36" without any elasticity in the elastic! beautiful color. minor slight small stains, would be covered by hip scarf. 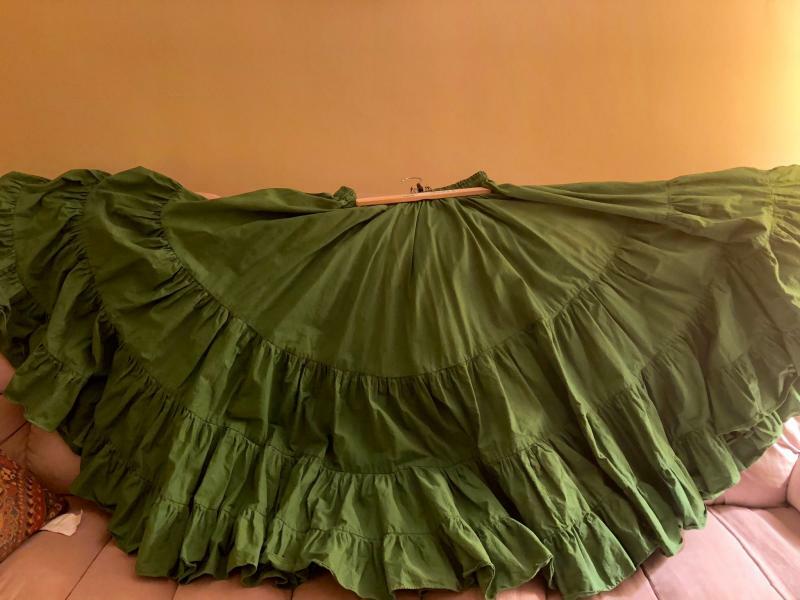 30" waist unstretched, 40" waist stretched. 37" long. gold color liner. Pretty. Contact me at lisa@inner-dancer.com or 513-478-6831 if you have questions, would like to try on or would like to purchase. I will activate the paypal button if you would like to purchase. Buyer pays shipping. I am downsizing, so am cleaning out my closets! I would love to see dancers take these items out for a spin!